BEHIND THE WHEEL -- “Ralph Breaks the Internet,” introduces Shank, a tough and talented driver in an intense online racing game called Slaughter Race. When Vanellope finds herself in a street race with Shank, her Sugar Rush driving skills are put to the test—and Shank is impressed. Shank’s approach to racing—and life in general—opens Vanellope’s eyes to the limitless possibilities of the internet and the excitement of a new world that feels like home to her. 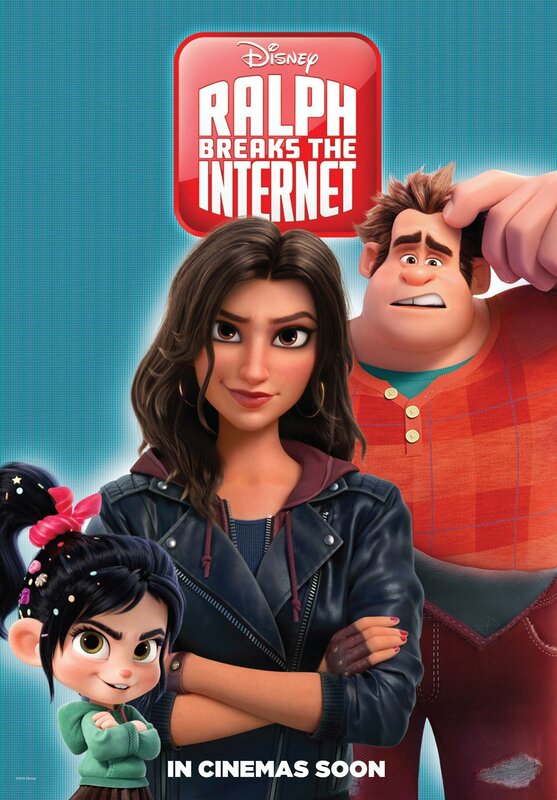 Featuring Gal Gadot as the voice of Shank, “Ralph Breaks the Internet” opens in U.S. theaters on Nov. 21, 2018. ©2018 Disney. All Rights Reserved. 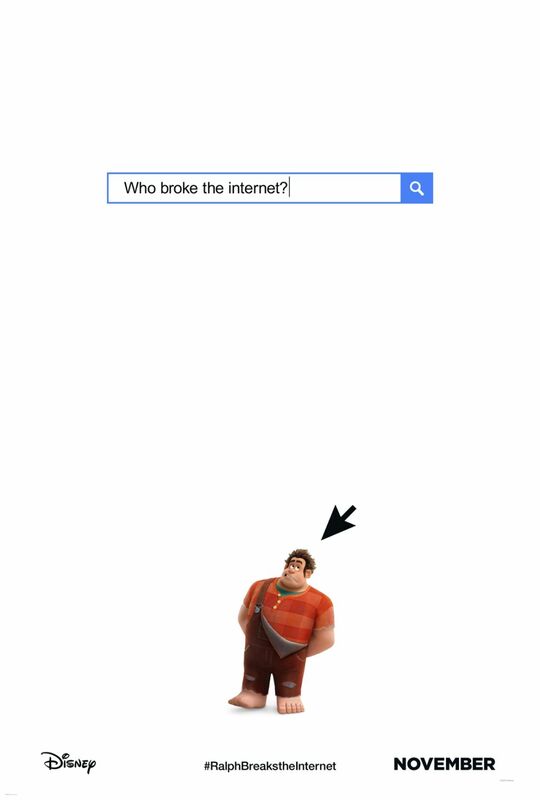 ASK ME ANYTHING – When video game bad guy Ralph and fellow misfit Vanellope von Schweetz find themselves in the expansive world of the internet, they turn to a search engine named KnowsMore – literally a know-it-all - for answers in hopes of tracking down a replacement part for Vanellope’s game Sugar Rush. He frequently gets ahead of himself, finishing people’s sentences in an attempt to guess what they’re going to say. 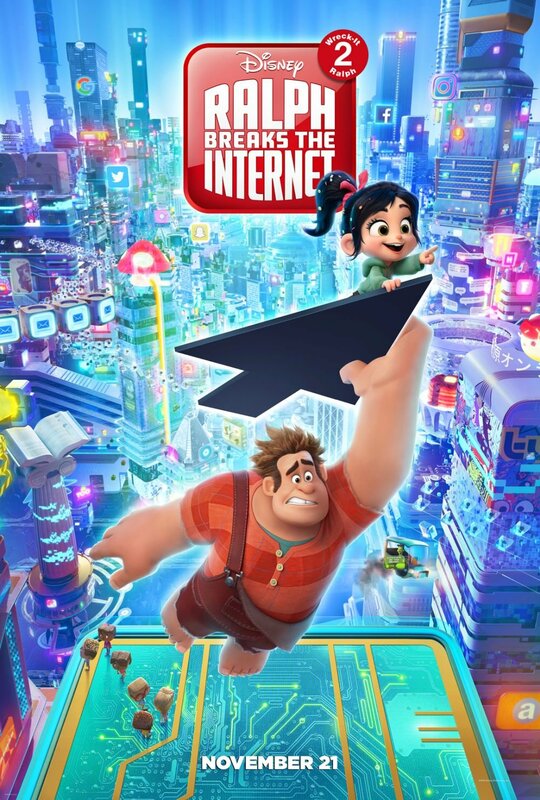 Featuring the voices of John C. Reilly as Ralph, Sarah Silverman as Vanellope and Alan Tudyk as the voice of KnowsMore, “Ralph Breaks the Internet: Wreck It Ralph 2,”opens in theaters nationwide Nov. 21, 2018.©2018 Disney. All Rights Reserved. 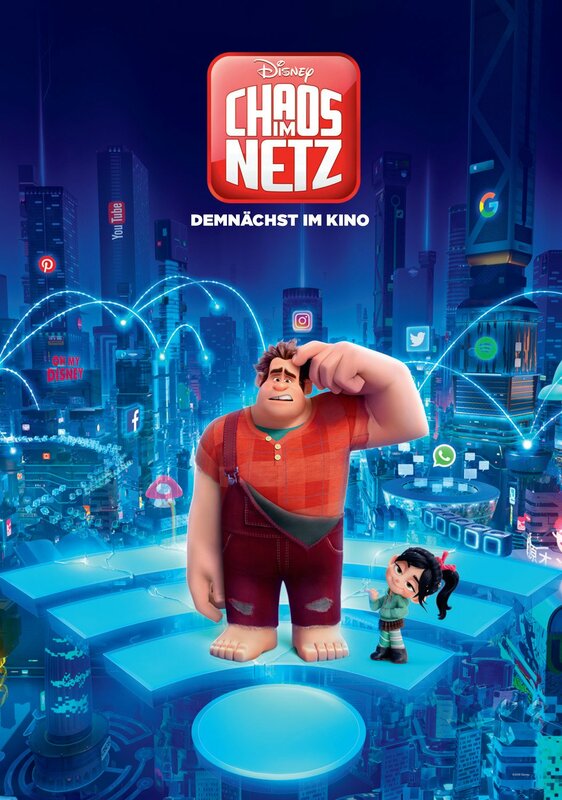 ROYAL REUNION – In “Ralph Breaks the Internet: Wreck It Ralph 2,” Vanellope von Schweetz—along with her best friend Ralph—ventures into the uncharted world of the internet. When she finds herself surrounded by Disney princesses, she’s surprised to learn that she actually has a lot in common with them. 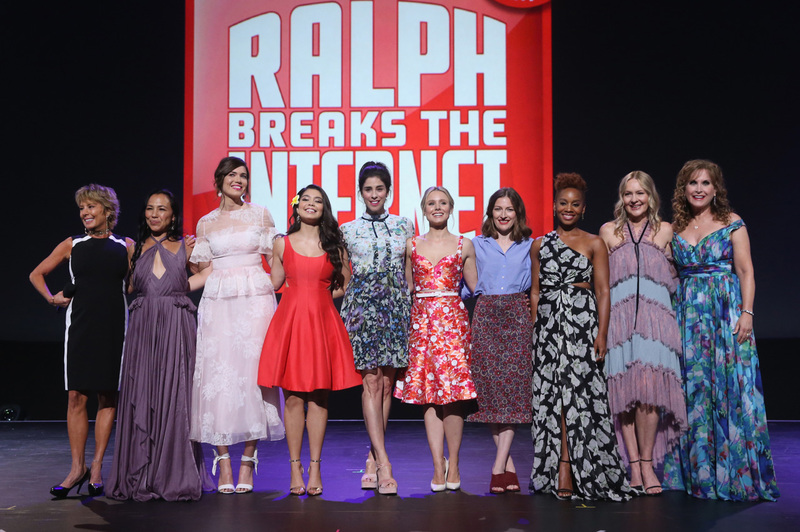 The scene, highlighted in a new trailer for the film, features several of the original princess voices, including Auli‘i Cravalho (“Moana”), Kristen Bell (Anna in “Frozen”), Idina Menzel (Elsa in “Frozen”), Kelly MacDonald (Merida in “Brave”), Mandy Moore (Rapunzel in “Tangled”), Anika Noni Rose (Tiana in “The Princess and the Frog”), Ming-Na Wen (“Mulan”), Irene Bedard (“Pocahontas”), Linda Larkin (Jasmine in “Aladdin”), Paige O’Hara (Belle in “Beauty and the Beast”) and Jodi Benson (Ariel in “The Little Mermaid”). 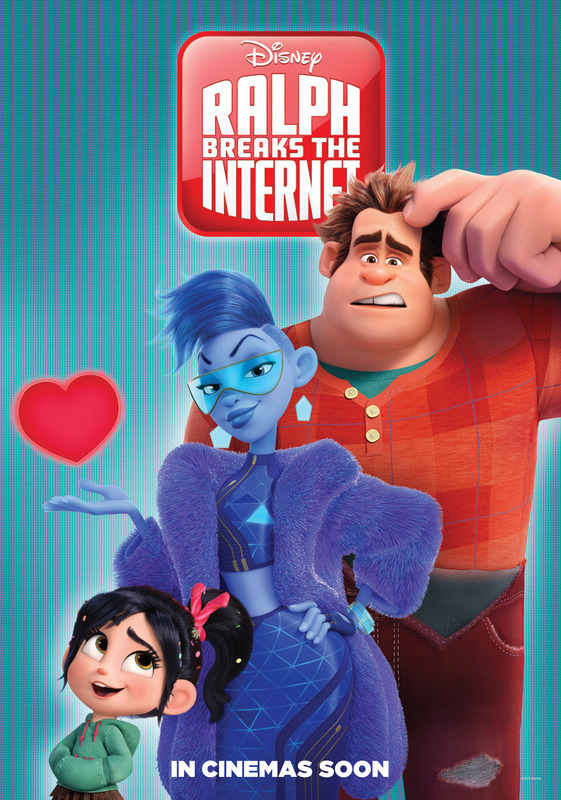 Featuring Sarah Silverman as the voice of Vanellope, “Ralph Breaks the Internet: Wreck It Ralph 2” opens in theaters nationwide Nov. 21, 2018.©2018 Disney. All Rights Reserved. 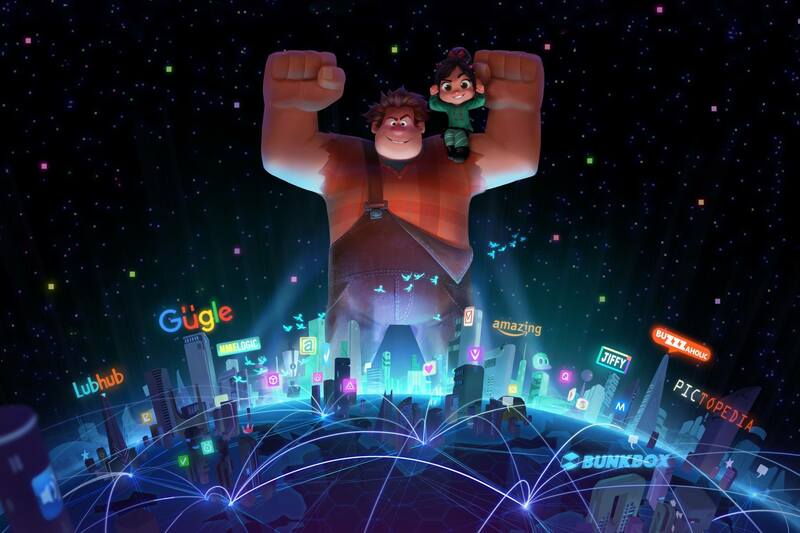 YESSS – In “Ralph Breaks the Internet: Wreck It Ralph 2,” video game bad guy Ralph and his fellow misfit Vanellope von Schweetz venture into the expansive and thrilling world of the internet where an algorithm named Yesss—who constantly scours the net to find the hottest new content to post at her website, BuzzzTube.com—helps them navigate the uncharted territory. 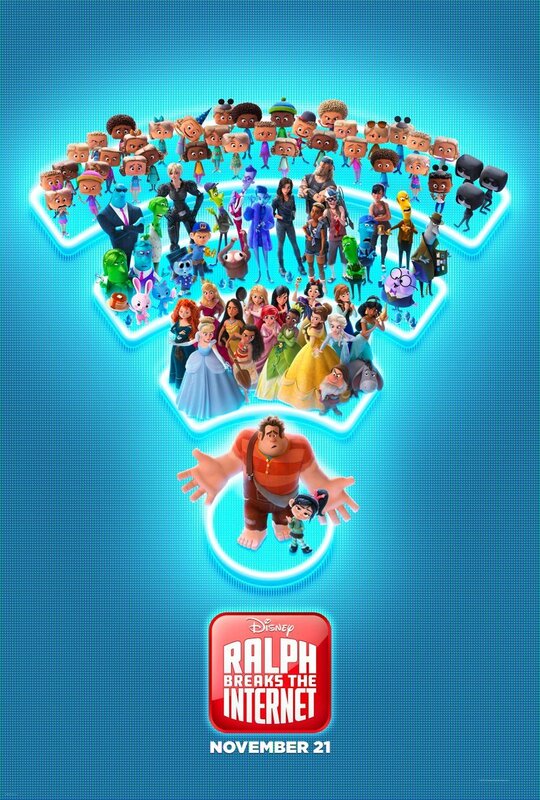 Featuring the voices of John C. Reilly as Ralph, Sarah Silverman as Vanellope and Taraji P. Henson as the voice of Yesss, the follow-up to 2012’s “Wreck It Ralph” opens in theaters nationwide Nov. 21, 2018.©2018 Disney. All Rights Reserved.